The empirical CDF is the proportion of values less than or equal to X. 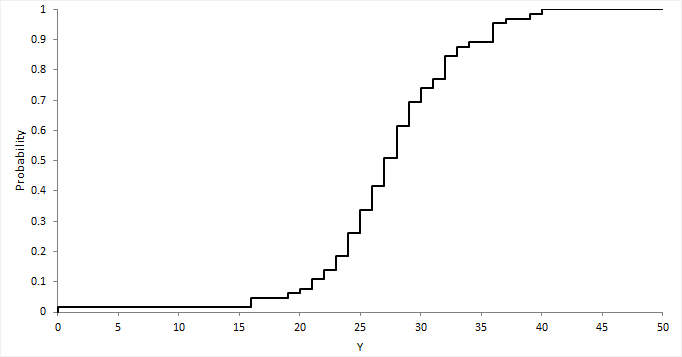 It is an increasing step function that has a vertical jump of 1/N at each value of X equal to an observed value. CDF plots are useful for comparing the distribution of different sets of data.